When applying for a job, how do you know you are applying for the appropriate position? It is often confusing and difficult to understand the differences between job titles such as manager, coordinator, director and specialist. Making it even more confusing, companies today have become very creative with job titles. What exactly does a Creator of Opportunities do? How about Director of First Impressions? If you guessed Senior Vice President of business development and a receptionist, you guessed right. Job titles can create a confusing landscape for job searchers. Even if you are applying for a Ticket Sales Manager or Director of Football Operations, job title definitions vary greatly from one organization to the next. 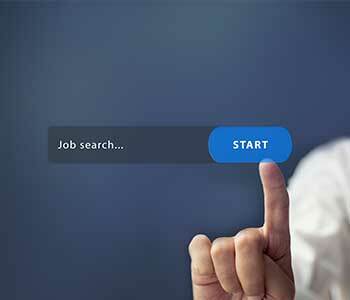 Let’s take a look at some at some tips to help you understand job titles better and improve your job search. 1) Skills – Read the job description and take note of the position’s necessary skills and proficiencies. They are more important than the job title. If you do not possess most of the required skills, you most likely are not a good fit, regardless of the title. 2) Keywords - Understand how the keywords used in a job description will reflect the level of the position. Verbs like coordinate, process and administer usually describe non-managerial positions. Verbs like lead, collaborate, direct and head usually reflect increased responsibility levels. Make sure to mirror these verbs on your resume to reflect your own expertise. 3) Read – Familiarize yourself with job descriptions. Read lots of them. This practice will help you decipher what is written and what is implied. It will also help you recognize the hiring needs of the organization. 4) Duties – A clear explanation of skills, job duties and requirements will help you distinguish if the job/organization is a good fit or not. Vague, short or overly broad job descriptions will tell you a great deal about the organization if you are willing to read between the lines. 5) Flat – Organizations today lack the hierarchy that was so prevalent in previous generations. This trend in flatter organizational structure has lead to more of an emphasis on specific skills and to employees wearing multiple hats. These types of changes make it difficult to “name” a position and decrease naming standardization. 6) Compare – Utilize technology to help you find and compare various job titles that fit your skill set. If you are a LinkedIn user and you spot a position you are interested in, take note of the “People also viewed” section for similar opportunities. If you use the O-Net, each job summary starts off with a “Sample of reported job titles” section. MySkillsMyFuture will offer you career matches based on your current or past job titles. This AthLife Fundamental was powered by, How to Identify the Right Job Titles for Your Job Search, How Important Are Job Titles?, and Understand job titles before you apply.